Virgin Atlantic & Stobart agree Flybe takeover. Virgin Atlantic and Stobart Group have combined to rescue British airline Flybe with a cash offer for the entire share capital of the airline. Flybe will continue to serve passengers across the UK and Ireland, but it has been announced that the airline will be re-branded to Virgin Atlantic. Ultimately, this will mean GTM customers will be able to book flights that link regions in the UK and Ireland to Virgin Atlantic’s extensive long-haul network through improved connectivity at London’s Heathrow, Gatwick and Manchester Airport. For schedules, availability fares and to book on Flybe or Virgin Atlantic, please contact your GTM Travel Consultant. https://gtm.uk.com/wp-content/uploads/2019/01/VIRGIN-ATLANTIC-AND-STOBART-AGREE-FLYBE-TAKEOVER-4-002.png 788 940 Paul https://gtm.uk.com/wp-content/uploads/2015/05/logo_trans.png Paul2019-01-14 08:50:142019-01-14 08:50:14Virgin Atlantic & Stobart agree Flybe takeover. Virgin / Delta Offer Extra Comfort. Virgin Atlantic passengers can now benefit from the airline’s ever closer ties with its Transatlantic partner Delta Airlines. Virgin’s Premium Economy passengers will now enjoy Delta Comfort+ when connecting to an onward US domestic flight. This will be an automatic enhancement at the time of booking. Delta Comfort+ offers lots of benefits like more legroom, premium meal service, access to Sky Priority® boarding and dedicated overhead bin space. https://gtm.uk.com/wp-content/uploads/2016/05/VS-logo-2.png 159 316 Paul https://gtm.uk.com/wp-content/uploads/2015/05/logo_trans.png Paul2016-05-16 09:08:512016-05-16 09:08:51Virgin / Delta Offer Extra Comfort. Valid from now until 14th June 2016, Virgin Atlantic is offering customers who purchase a Premium Economy ticket the chance to upgrade to Upper Class free-of-charge. This will also enable travellers the opportunity to try, if they haven’t before, Virgin’s Upper Class Wing at Heathrow and their Clubhouses. Please feel free to contact us to discuss the offer in more detail and the chance to fly Upper Class! https://gtm.uk.com/wp-content/uploads/2013/06/VS-logo.jpg 101 101 Paul https://gtm.uk.com/wp-content/uploads/2015/05/logo_trans.png Paul2016-05-04 13:38:522016-05-04 13:38:52Virgin Atlantic Upgrade Offer. Gatwick Airport is open and operating normally today (Tuesday 30th December), however, there are some knock-on delays and cancellations due to yesterday’s incident involving the Virgin Atlantic flight to Las Vegas. Please ensure that you check in online for your flight for the latest news and updates. https://gtm.uk.com/wp-content/uploads/2015/05/logo_trans.png 0 0 Paul https://gtm.uk.com/wp-content/uploads/2015/05/logo_trans.png Paul2014-12-30 10:15:592014-12-30 10:15:59Gatwick Airport Update. Delta completes purchase of Virgin Atlantic stake. 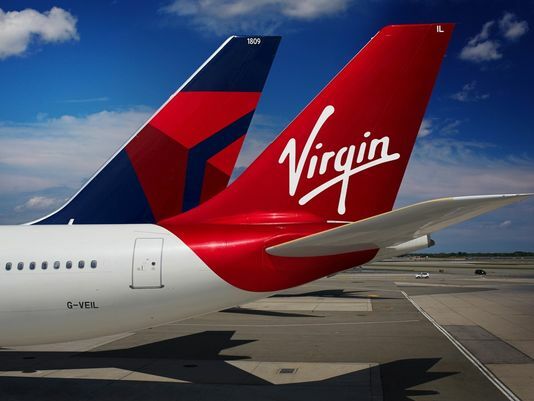 Delta Air Lines has completed its purchase of a 49 per cent stake in Virgin Atlantic, after being given clearance by both the US and European regulators last week. The two airlines have also announced that they will begin selling each other’s flights across their networks from 29th June, as well as codesharing from 3rd July. Delta will be putting its two letter code (DL) on 17 Virgin Atlantic flights, including routes from the UK to the US, as well as Virgin’s new Little Red UK domestic services. The deal will enable Virgin to do likewise, and place its code (VS) on 91 Delta routes covering both transatlantic and US domestic services. It is worth noting at this stage that Virgin Atlantic flies out of Heathrow Terminal 3 and Delta from Terminal 4 – don’t get caught out once both airlines commence code sharing each others flights! https://gtm.uk.com/wp-content/uploads/2015/05/logo_trans.png 0 0 Paul https://gtm.uk.com/wp-content/uploads/2015/05/logo_trans.png Paul2013-06-26 09:15:262013-06-26 09:15:26Delta completes purchase of Virgin Atlantic stake.